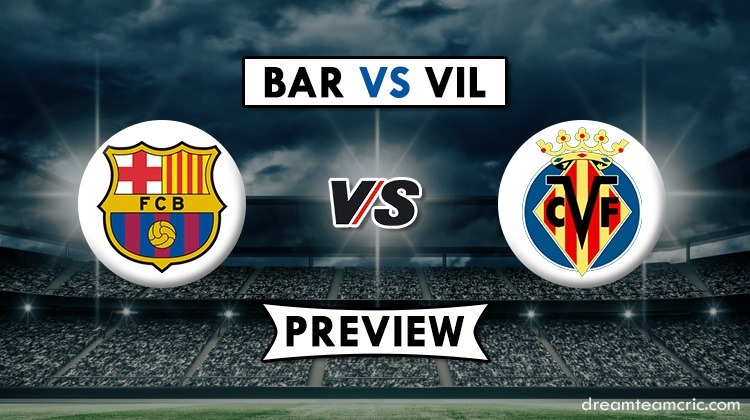 Villarreal will host the high flying Barcelona in tomorrow’s La Liga fixture. Barcelona are 10 points clear at the top of the table and they are expected to win the title without much fuss. Villarreal, on the other hand, could find themselves in trouble as they are just one point above relegation zone. This will be the 30th match of La Liga campaign for both the teams. Atletico Madrid and Real Madrid have failed to give Barcelona any significant trouble in the race to league title this season. Real Madrid, their fierce rivals, in particular, have been remarkably poor this season. As a result, the Blaugrana have raced in front and they look close to the finishing line. Tomorrow’s match gives them the opportunity to be one step closer to the coveted La Liga title. Valverde’s team must also have one eye on Champions League now. They would surely seek to get the domestic competition in the bag before long and focus on the European trophy that has evaded them in the recent years. The devastating form of Lionel Messi and Luis Suarez is taking them towards their goal swiftly. Villarreal have just 29 points from 29 games to take them 17th in the league table. Their points telly is just good enough to have them one point clear of the relegation zone at this point. Thus, they know that they can not afford to slip now and risk relegation to second division. There are 9 more matches to go in the La Liga campaign and they have to win every single point they can. Jeison Murillo and Thomas Vermaelen are not in the travelling squad. Lionel Messi and Luis Suarez have been lethal in front of the goal over the season. Coutinho is expected to come good and make the most in absence of Ousmane Dembele.